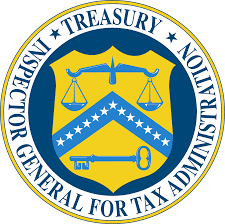 WASHINGTON — The Treasury Inspector General for Tax Administration (TIGTA) urged taxpayers to remain on “High Alert” and announced additional outreach efforts to prevent them from falling victim to criminals who impersonate Internal Revenue Service and Treasury employees this filing season. TIGTA continues to receive reports of thousands of contacts every month in which individuals fraudulently claiming to be IRS officials make unsolicited calls and “robo calls” to taxpayers and demanding that they send them cash, he said. “As the tax filing season begins, it is critical that all taxpayers continue to be wary of unsolicited telephone calls and e-mails from individuals claiming to be IRS and Treasury employees,” said the Inspector General. “This scam has proven to be the largest of its kind that we have ever seen. The callers are aggressive and relentless,” he said. “Once they have your attention, they will say anything to con you out of your hard-earned cash,” George added. “We will be very aggressive in pursuing those perpetrating this fraud,” the Inspector General said. “In the meantime, we need to do even more to warn taxpayers not to fall for it,” he added. TIGTA’s expanded outreach initiative includes video Public Service Announcements in English and in Spanish that warn taxpayers about the scam. In addition, TIGTA is working with its partners in the public and private sector to help get the word out, both through traditional law enforcement channels and through direct outreach to associations, nongovernmental organizations, and the media. TIGTA has received reports of roughly 896,000 contacts since October 2013 and has become aware of over 5,000 victims who have collectively paid over $26.5 million as a result of the scam, in which criminals make unsolicited calls to taxpayers fraudulently claiming to be IRS officials and demanding that they send them cash via prepaid debit cards, money orders or wire transfers from their banks. Inspector General George noted that the scam has hit taxpayers in every State in the country. Callers claiming to be from the IRS tell intended victims they owe taxes and must pay using a pre-paid debit card, money order or a wire transfer. The scammers threaten those who refuse to pay with being charged for a criminal violation, a grand jury indictment, immediate arrest, deportation or loss of a business or driver’s license. Utilize an automated robocall machine. May know the last four digits of the victim’s Social Security Number. Aggressively demand immediate payment to avoid being criminally charged or arrested. Claim that hanging up the telephone will cause the immediate issuance of an arrest warrant for unpaid taxes. Call a second or third time claiming to be the police or department of motor vehicles, and the caller ID again supports their claim. If you do not owe taxes, fill out the “IRS Impersonation scam” form on TIGTA’s website, www.tigta.gov, or call TIGTA at 800-366-4484. You can also file a complaint with the Federal Trade Commission at www.FTC.gov. Add “IRS Telephone Scam" to the comments in your complaint.